If you’re wondering where all the fancy new trickle-down technology in commuter cars comes from, the answer is the Mercedes S-Class, namely this top-trim W221 S600 model. It’s got everything you need and everything you don’t yet know you need, all for a price of a used ordinary sedan built for everyone else. This 2007 Mercedes S600 is huge, contemporary, and powerful enough to shout to the world that your money is best spent on the finer things in life, even if those things have depreciated so far that they’re cheaper than most new cars by a fair stretch. This example is fully loaded with an interior by Mercedes’ bespoke design house Designo, radar guided cruise control that can stop and start in slow moving traffic, night vision camera, active body control, air conditioned and heated seats in the front and back, dual sunroofs, and a bunch of other stuff that make it a better driving experience than most any other car on Earth. This car has just under 100k miles on it, but the engine, other than a common fault in the coil packs, can last quite a long time and that goes for the rest of the complex cruiser. It can have expensive fixes, but for those squeamish of sticker shock and don’t do your own work or have a trustworthy mechanic, the seller states that an aftermarket comprehensive warranty is available, though the price for that wasn’t stated. 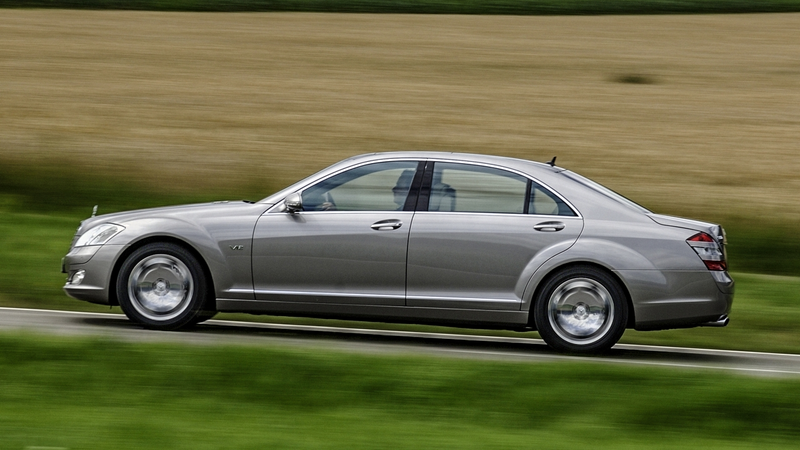 I owned the older version of this exact car, and drive an S500 every single day. I’d advocate purchase of an S-Class to anyone that knows how to diagnose the occasional fault, likes to save money, and wants one hell of a luxurious driving experience. It’s a spectacular daily driver, has more power than an entire parking lot of Smarts, and looks as if it could’ve been built today. Get one before you decide on something more ordinary.